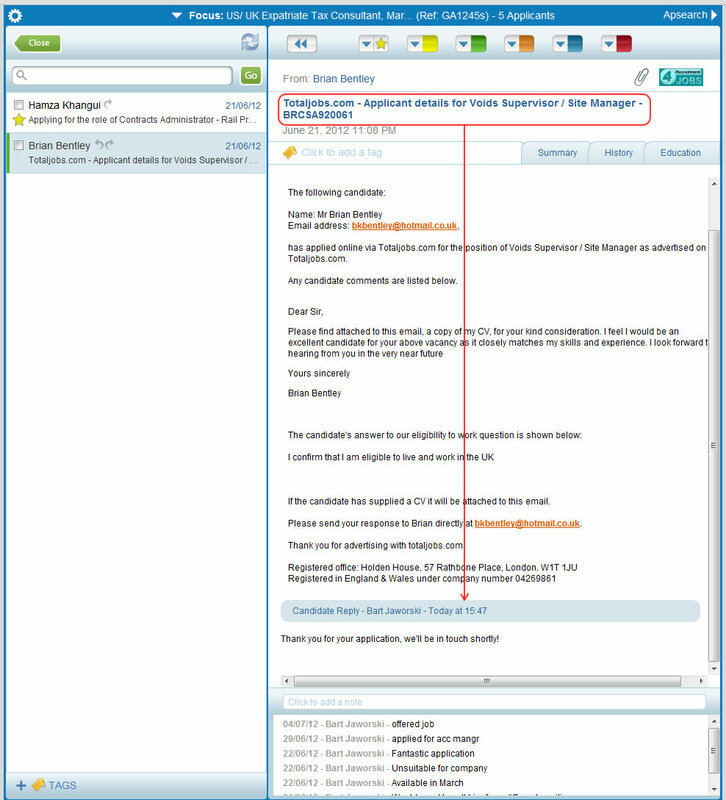 Aptrack allows you to, by default, view candidate's summary based on a parsed CV after accessing a candidate's record. If you wish to see the original email, hat was used to deliver the application, simply click the application's subject. Also, below the original email you can see every custom message you have sent to the candidate.